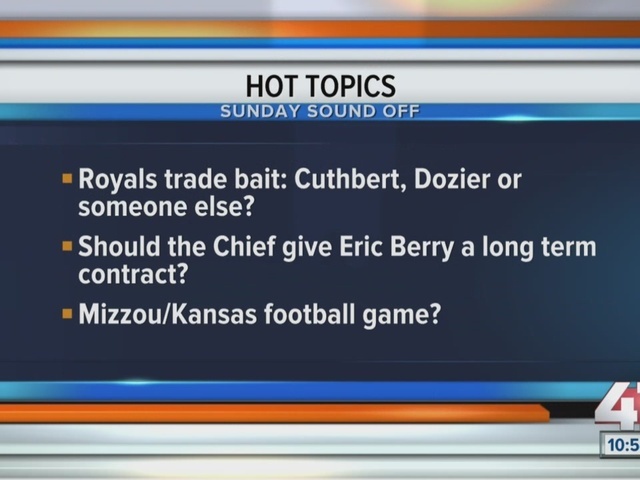 Sunday Sound Off: Should the Royals buy, sell, stand pat? The trade deadline is coming up, should the Royals buy, sell or stand pat? 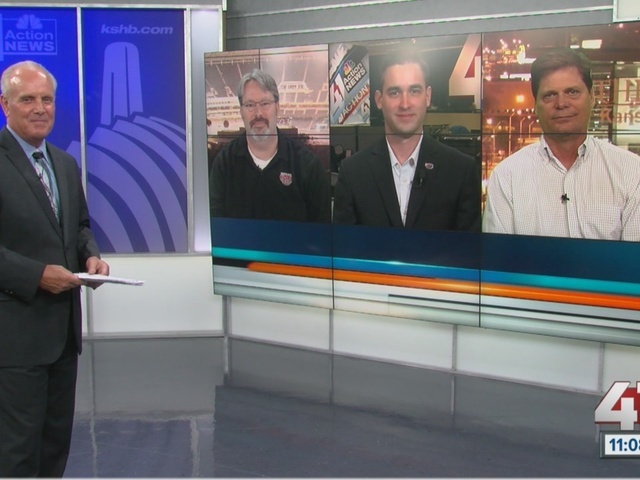 41 Action Sports Director Frank Boal discussed the latest sports headlines with experts on the weekly addition of Sunday Sound Off. 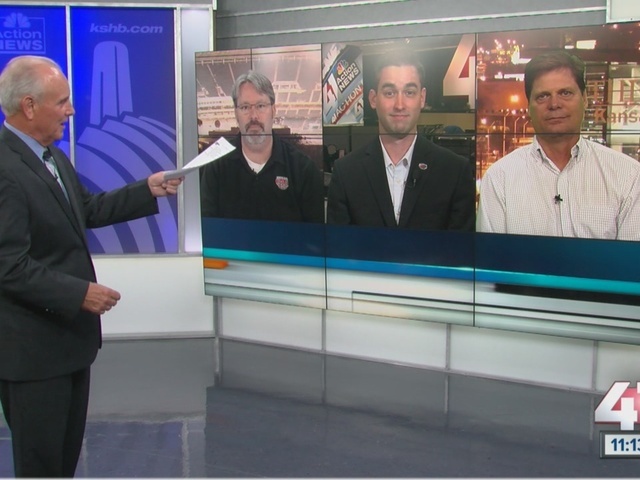 Sports Radio 810 WHB personalities Soren Petro and TJ Carpenter along with Blair Kerkhoff, Kansas City Star columnist, discussed Royals, Chiefs and Kansas/Missouri football. Should the Royals be buyers, sellers or stand pat before trading deadline? If the Royals decide to buy, who becomes trade bait; Cuthbert, Dozier or someone else? Should the Chiefs sign Eric Berry to a long-term deal? When will we see a Missouri/Kansas football matchup? Watch the videos above to listen to the discussion. @41ActionNews - best value would be Elbner, Merrifield, Orlando, and Herrera. @41ActionNews Eric is so well loved like Len Dawson, Derrick Thomas, and others...duh! @41ActionNews never, I hope, that era is long gone. Missouri needs to fix their their own program now.